Highlights: Lisa’s ePortfolio follows the course template and demonstrates a focused understanding of the course. 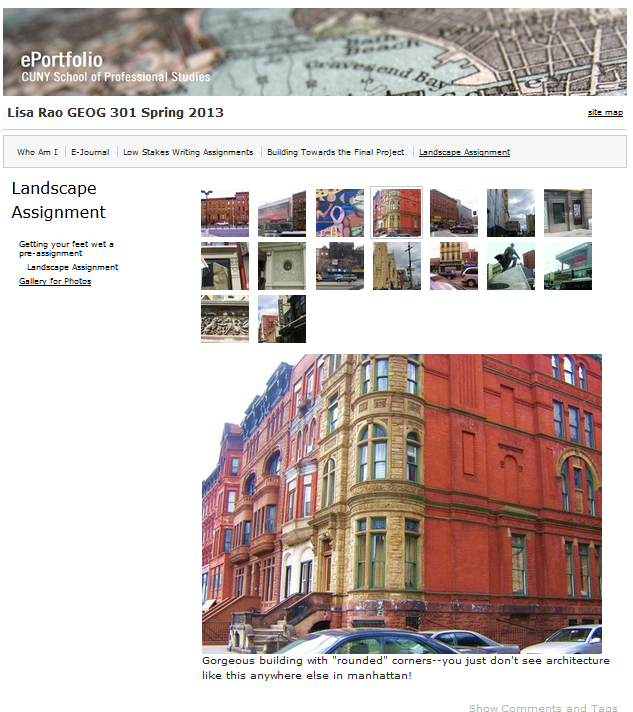 In this screenshot above we can see one of the images in Harlem that Lisa took for the landscape assignment. After reading the “Who Am I” section, readers learn that Lisa has authored several children’s books including Dora the Explorer and Yo Gabba Gabba!